This was easy and good. One small onion, chopped. A couple of cloves of garlic, minced. 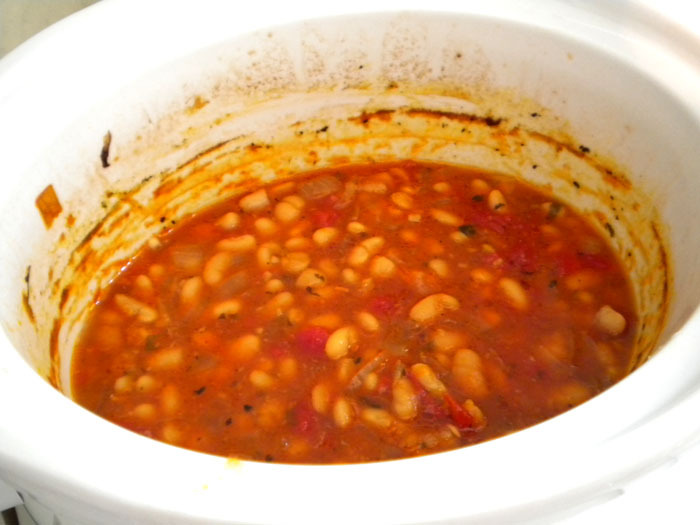 A cup of dried white beans, rinsed but not soaked. 14 oz of canned tomatoes. A handful of chopped fresh basil. One bay leaf. Cover by an inch and cook overnight. I cooked it on high but you might need to just do it on low. I pretty much discovered that I don’t like doing it overnight, tho because I don’t like smelling food cooking when I’m trying to sleep. Next time I’ll do it during the day. Greek salad in Greece doesn’t have any lettuce. 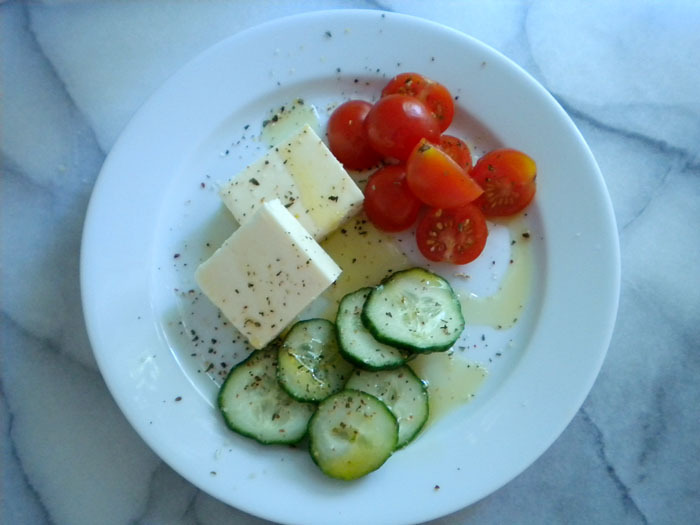 It’s just chunked feta and tomatoes. Sometimes they also add cucumbers and/or olives. Top it with some dried herbs and olive oil. This one was made with some junky grocery store feta. 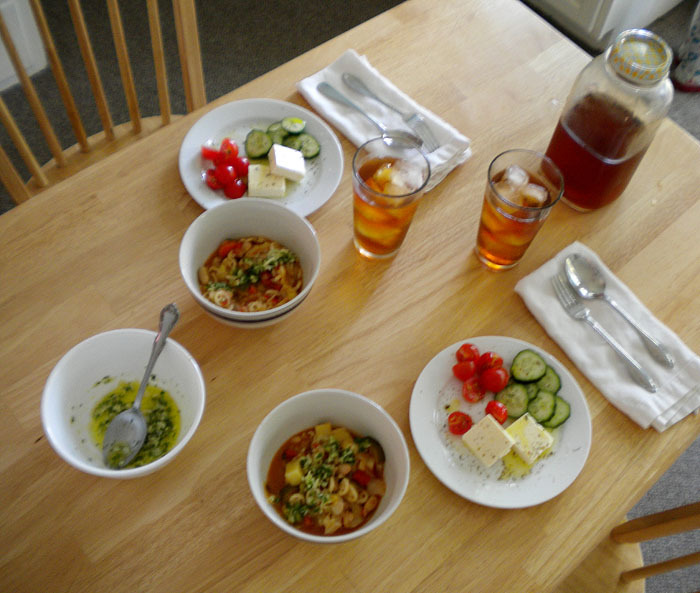 Later in the week I made it again with some fancy feta from Whole Foods and it was much better. 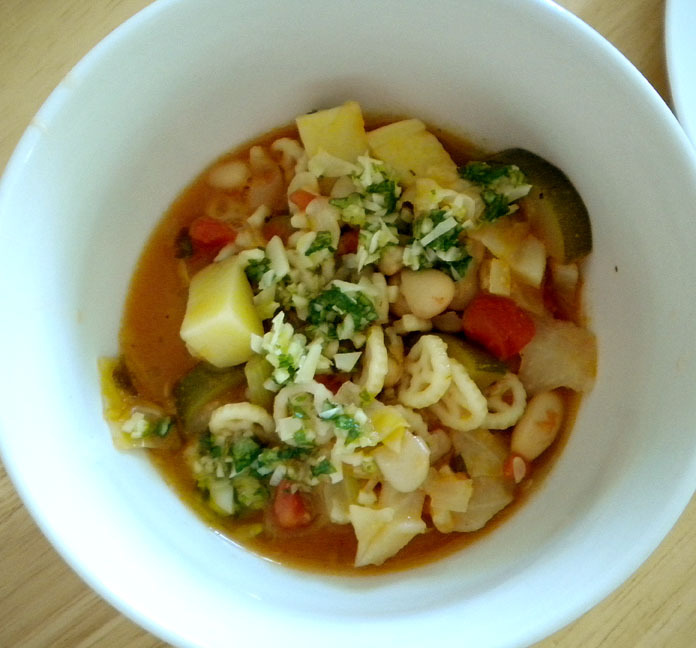 I found this minestrone recipe a million years ago and make it with whatever I have on hand. For example, this time I didn’t have any barley so I used pasta wheels instead. Also, I usually put a sort of pesto-esque topping on it. 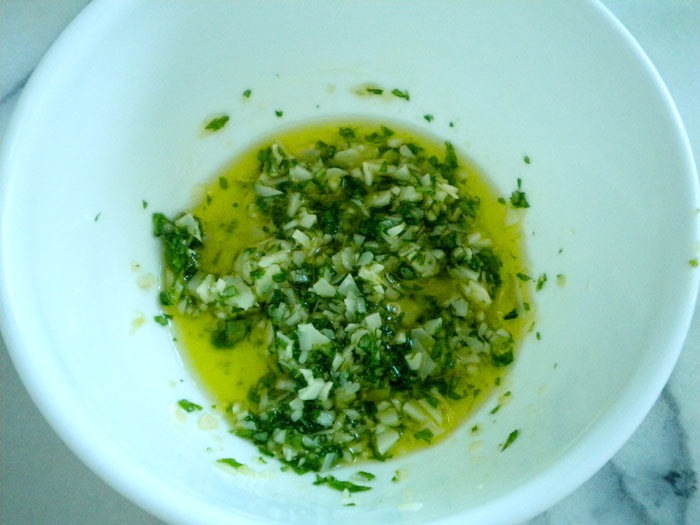 It’s just chopped up basil, garlic, parmesean, and olive oil. It adds a nice touch. 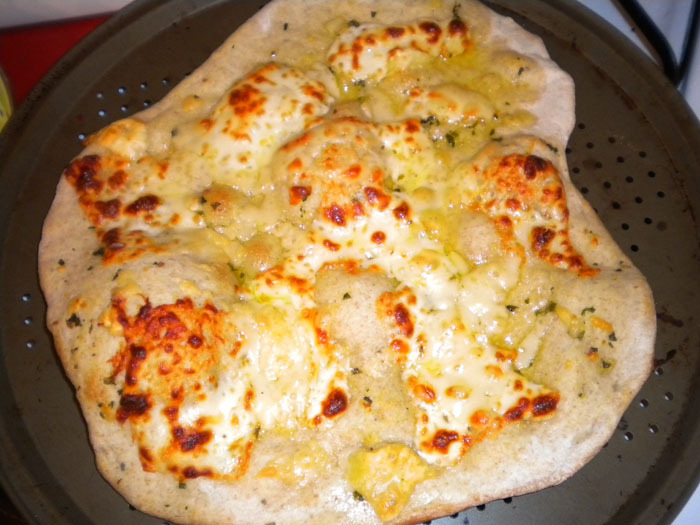 The next day I put the rest of the topping onto a homemade cheese pizza. 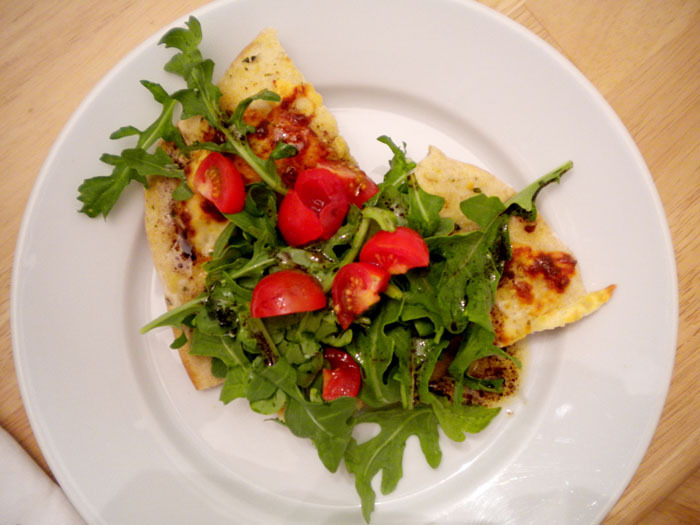 Then topped that with some arugula and tomatoes. Delish. 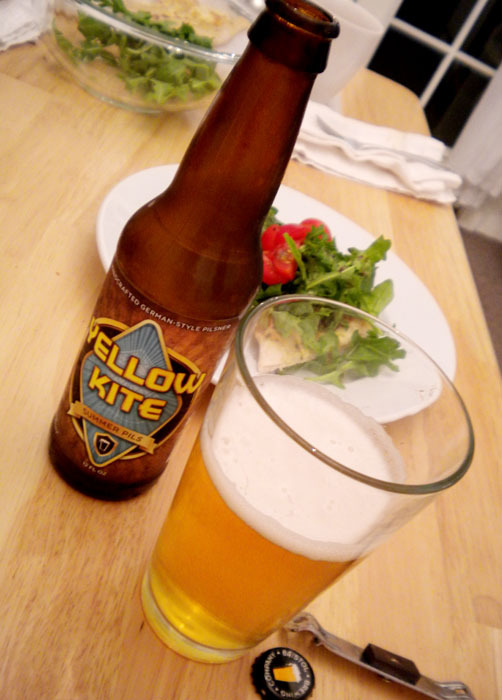 We bought this yummy beer at the local wine shop. it is actually made just a couple miles down the street from here at Bristol Brewing . It’s my new favorite. That’s about all I made last week. I’ve been lazy cuz it’s been so hot here.